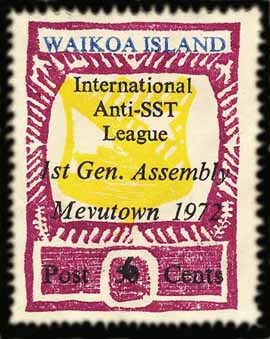 Waikoa Island in the South Pacific was made a Protectorate of Mevu in 1972. 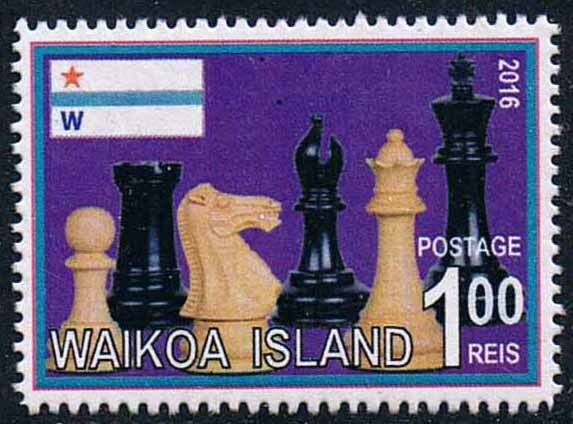 The flag of the Protectorate of Waikoa Island. 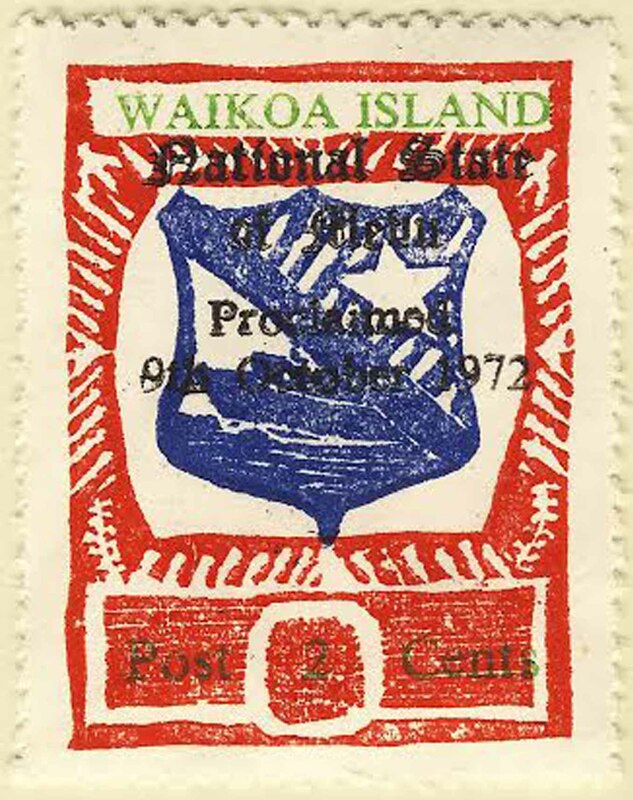 Above & below: The first stamps of Waikoa Island: the 1965 Definitive set. 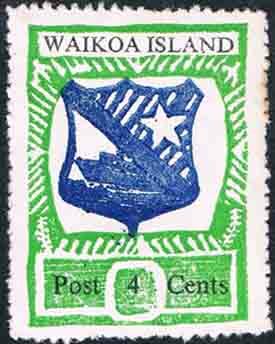 Each is gummed and perforated and inscribed "Waikoa Island Post". 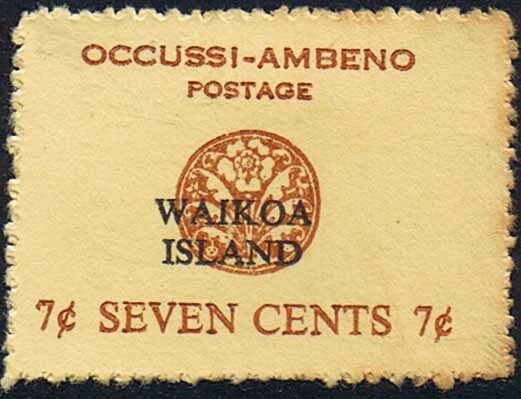 Some of this series were inexplicably cancelled in Western Samoa. 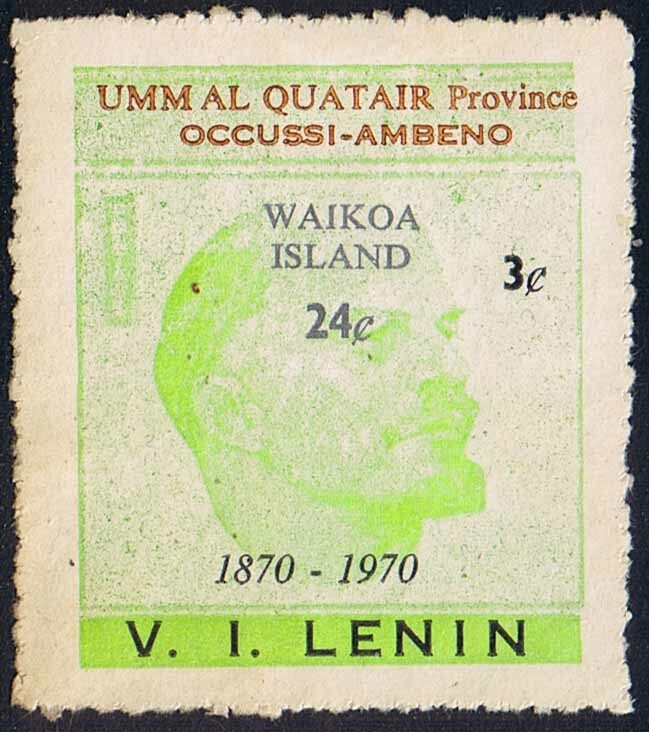 Above: The first commemorative set: the 1970 Centenary of the birth of Vladimir Lenin. 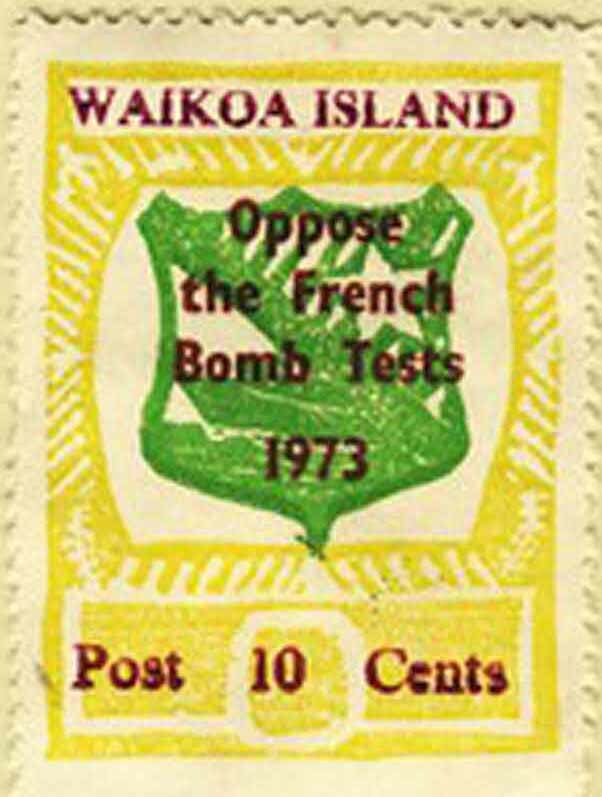 Two values of the definitive were surcharged as well as being overprinted by gold embossing. 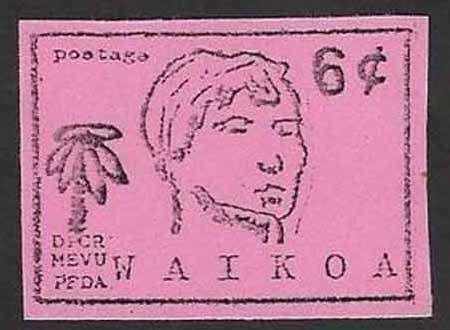 A miniature sheet with two of the $1 was also issued. 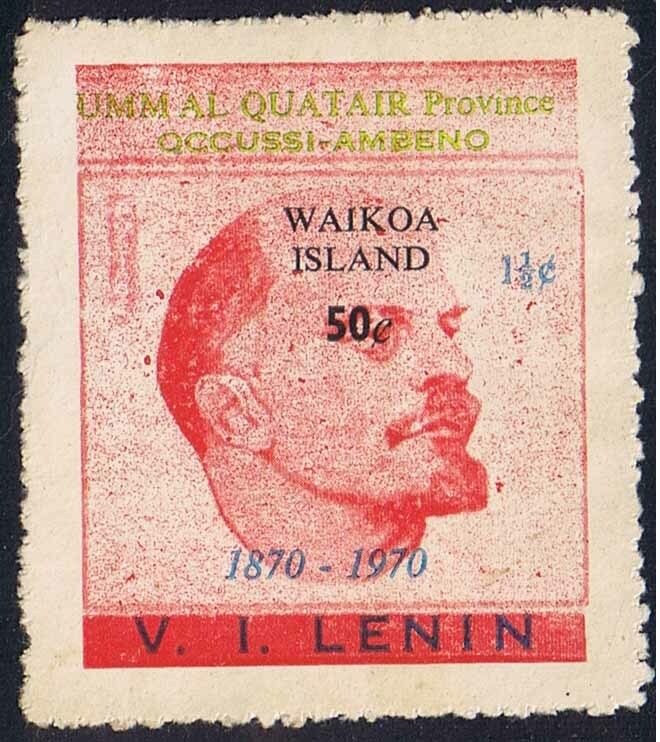 More about Lenin on stamps. 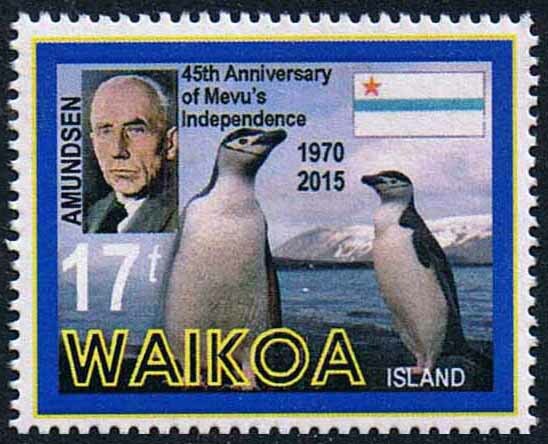 held its first General Assembly in Mevu Town, so a set of two commemoratives was issued. 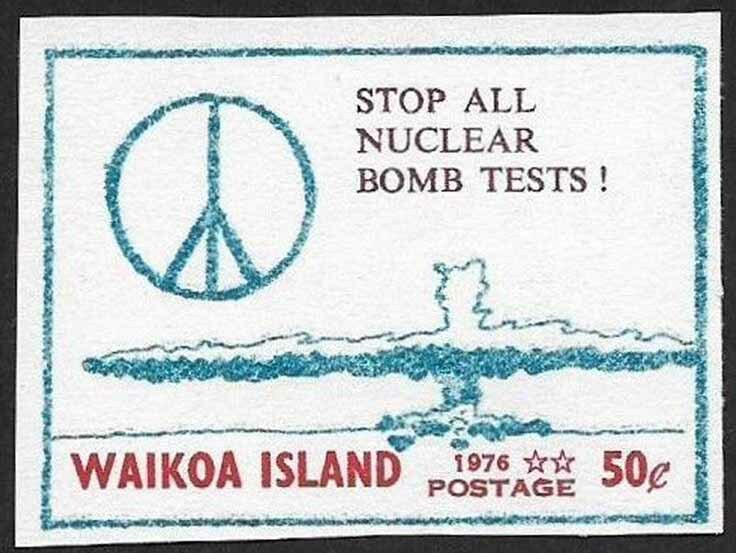 to the issue was received. 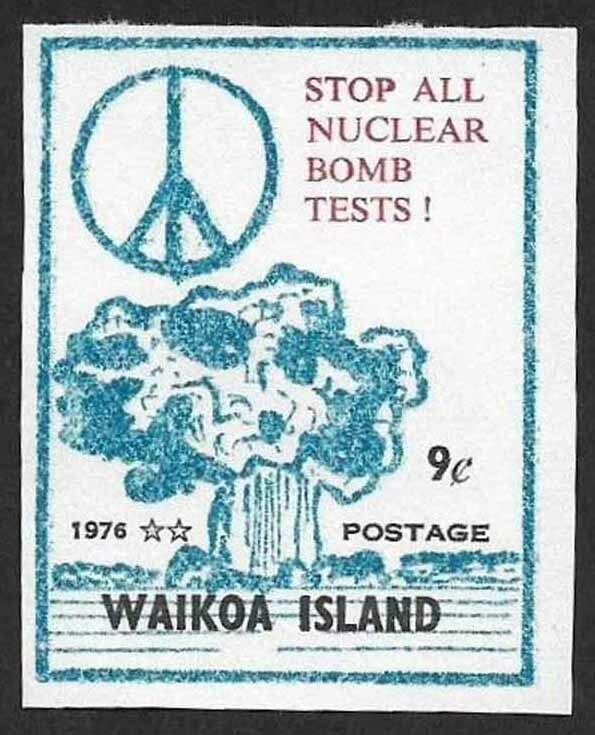 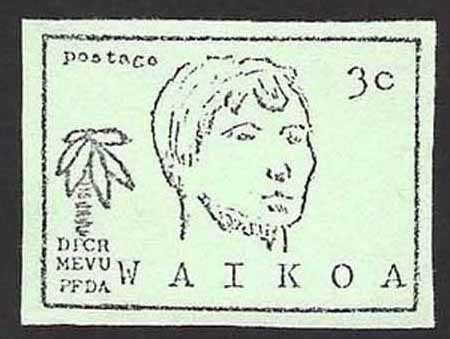 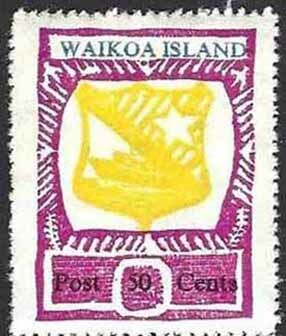 Only 6 of the 30c were sold, making it the raresr Waikoa Island stamp ever. 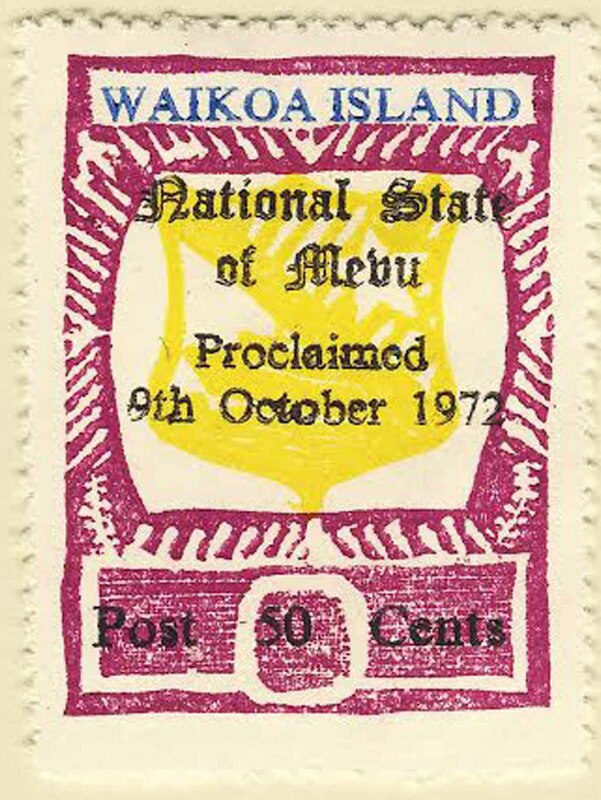 Above: The ruling country Mevu became a National State in 1972, so in 1973 this set of commemorative overprints was issued. 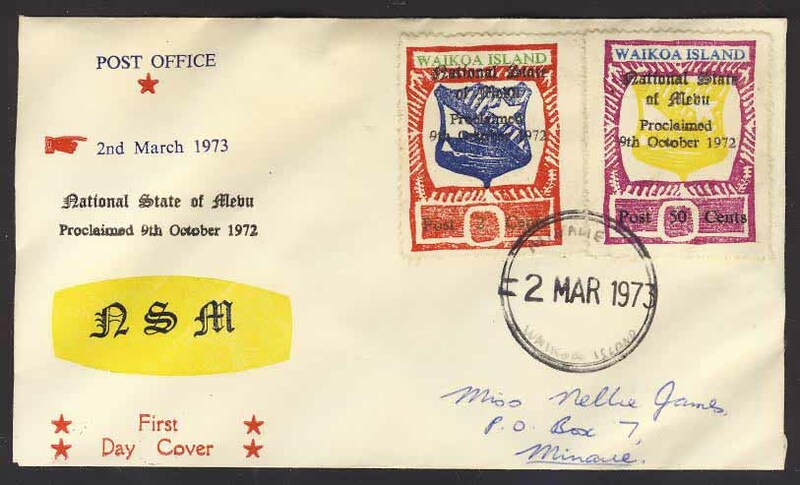 Above: The 1973 National State set on a first day cover. 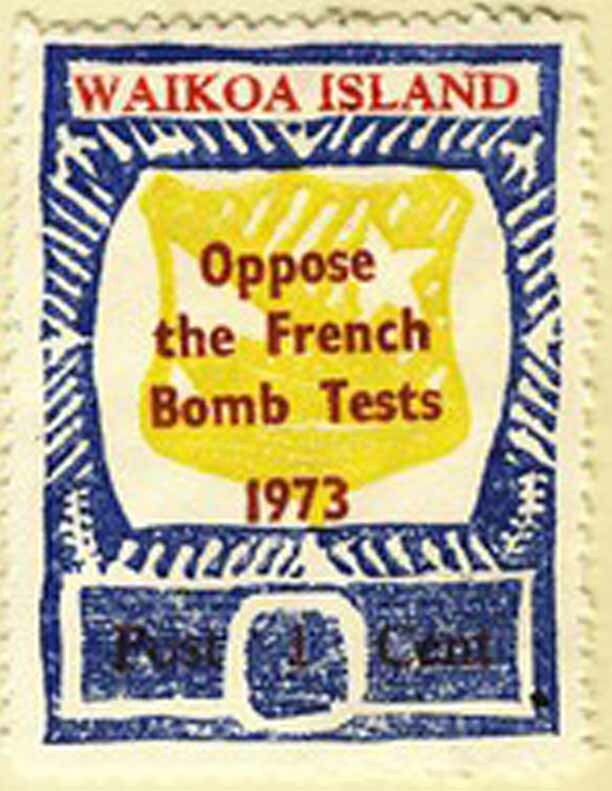 Above: The 1973 Anti French Nuclear Bombing set. 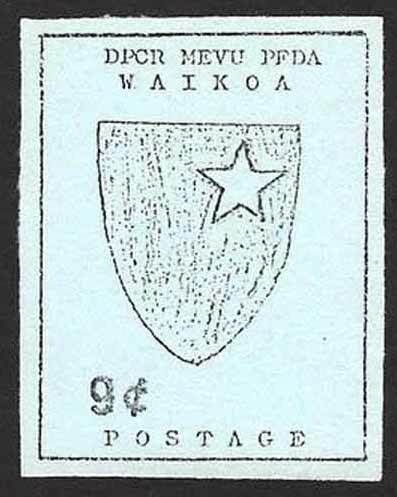 The 50c was issued both perforated and imperf. 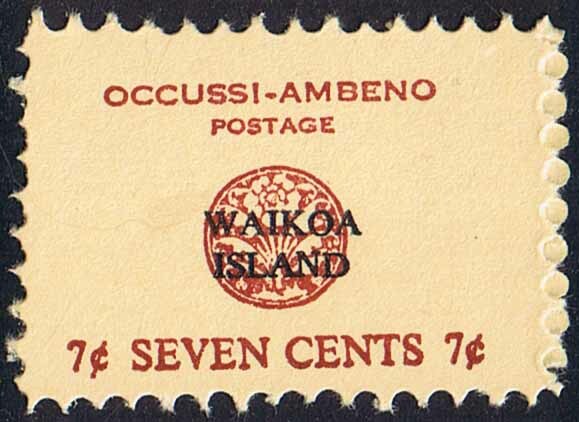 Above: The 1973 Occussi-Ambeno Post Office set. 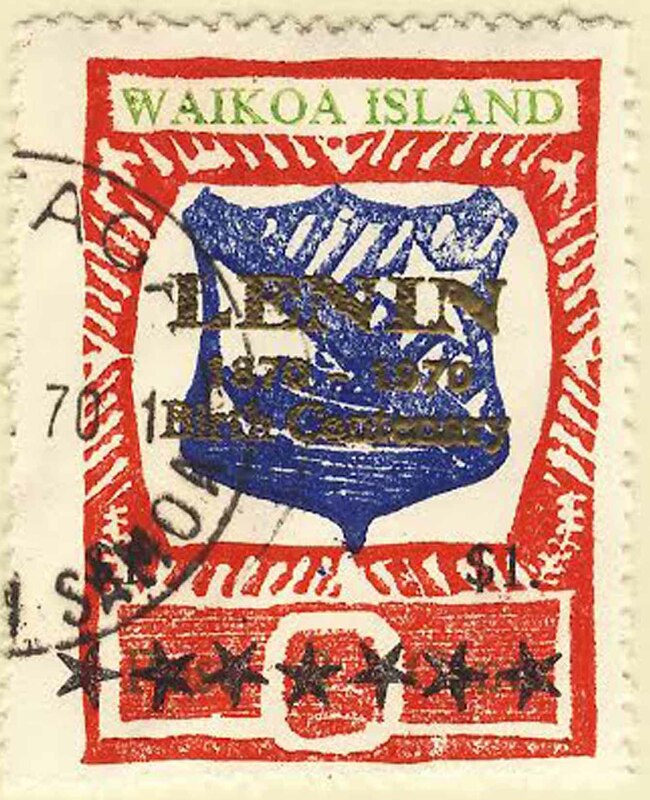 This was a temporary measure following the Mevu revolution, and the Post Office was opened at the new Mevu Government's request. 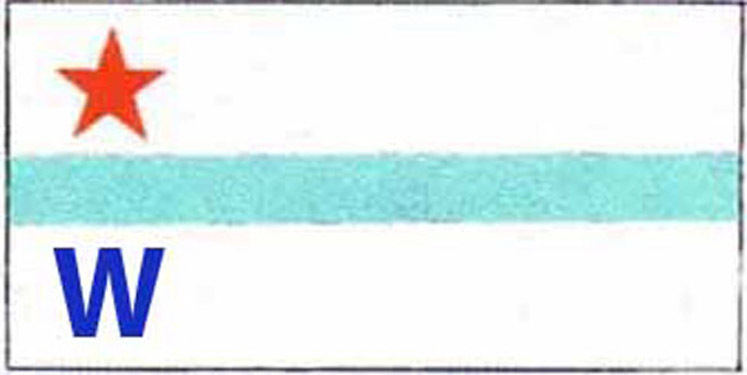 Note the two versions of the 7c: perf 8 at left, and perf 15. 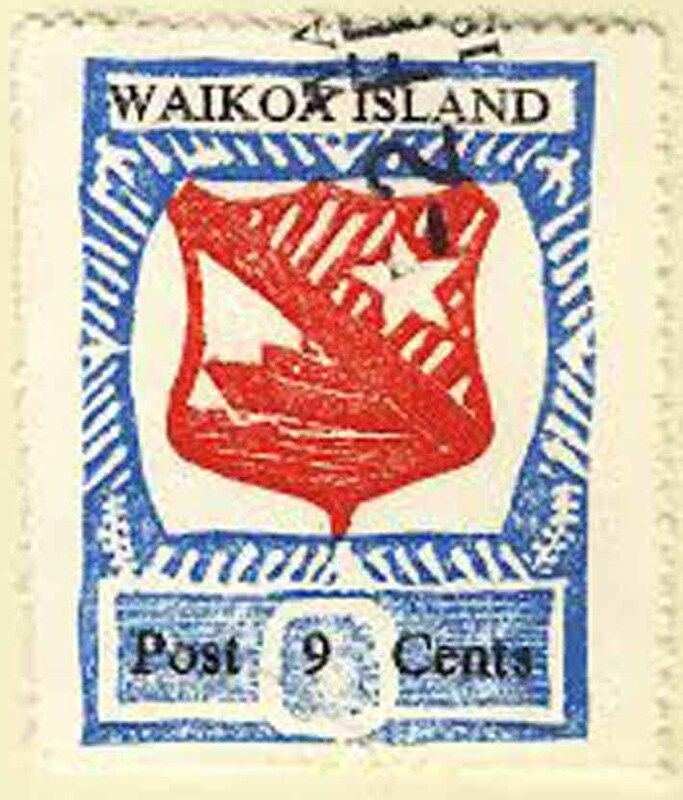 Supplies of both were sent out to the island together. 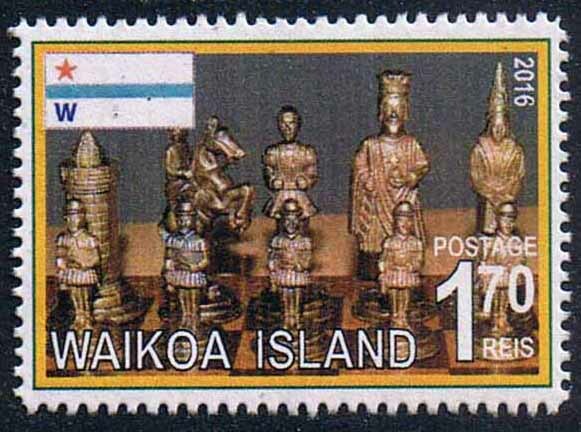 Above: The 1973 definitive set of three, featuring President Lemmath Babi on the two lower values and a shield on the top value, was issued imperf only. 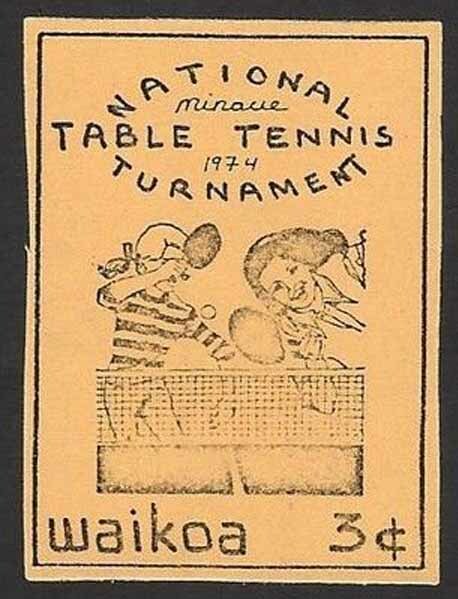 Above: The 1974 Table Tennis Tournament set. 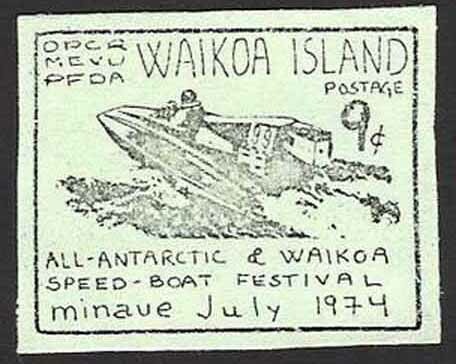 Above: The 1974 All-Antarctic and Waikoa Speedboat Festival was celebrated with this stamp in July 1974. 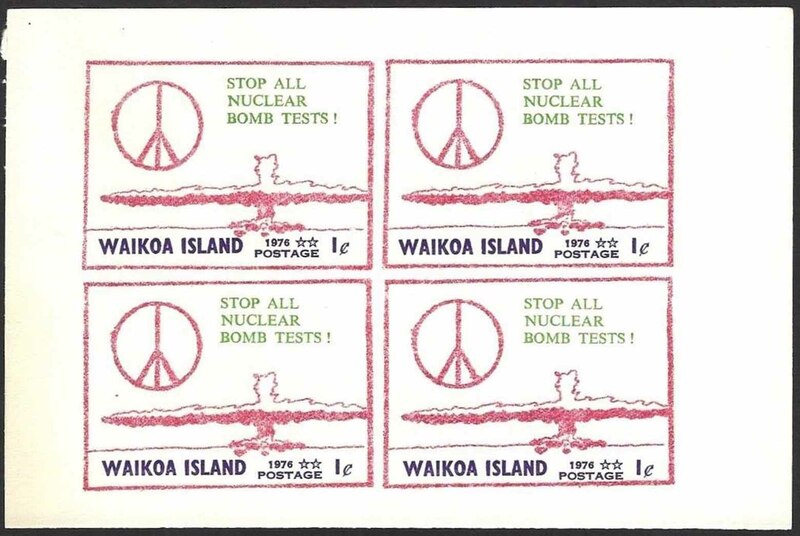 Above: The 1976 issue, promoting the Anti-Nuclear Campaign. 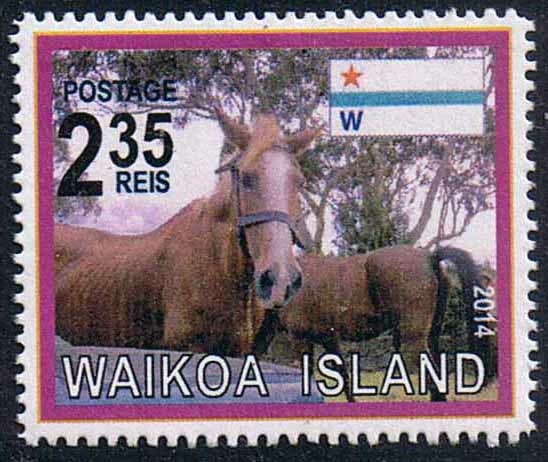 Each is imperf. 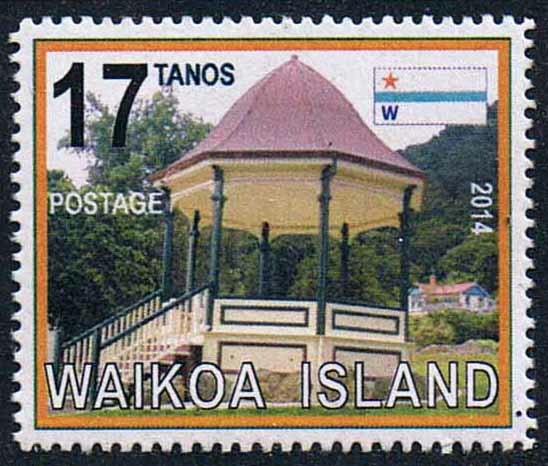 Above: The 2014 Pictorials, when Waikoa Island resumed having its own stamps, were issued on 7th July 2014. 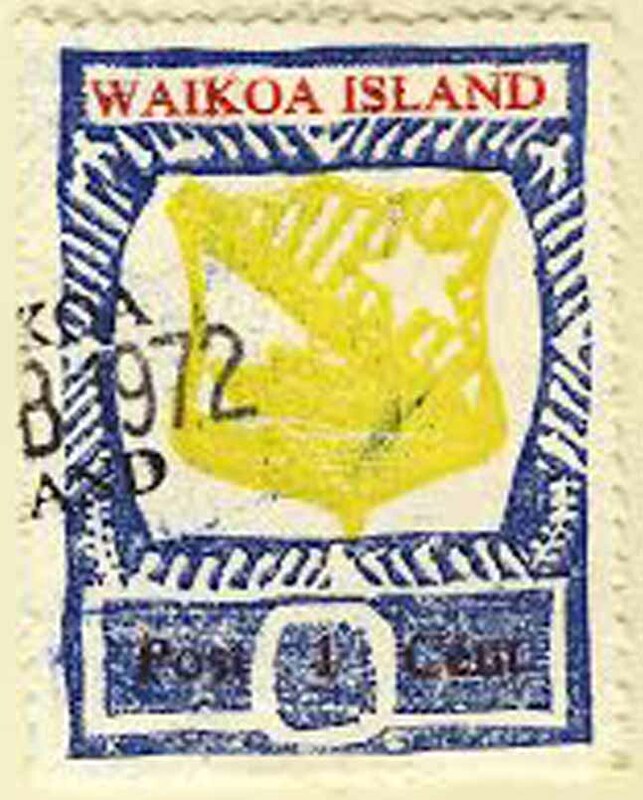 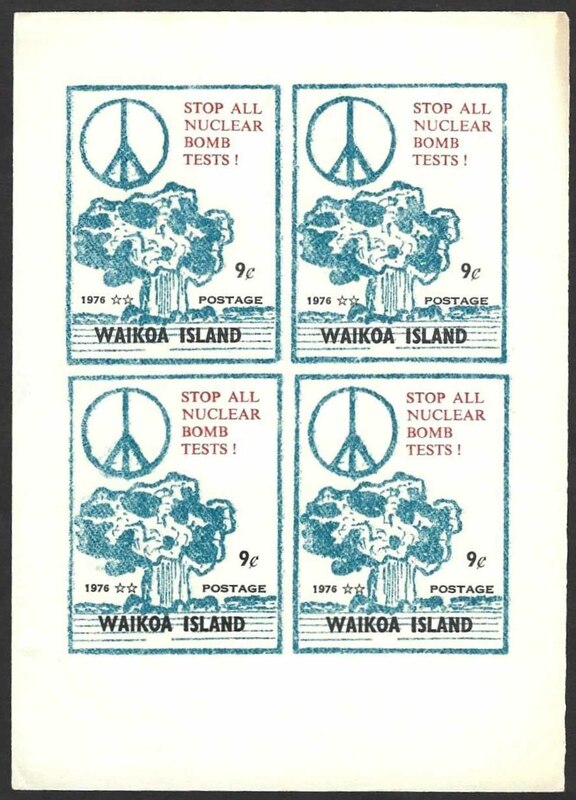 Mevu stamps were used at Waikoa Island prior to this issue, and remain valid on the island. 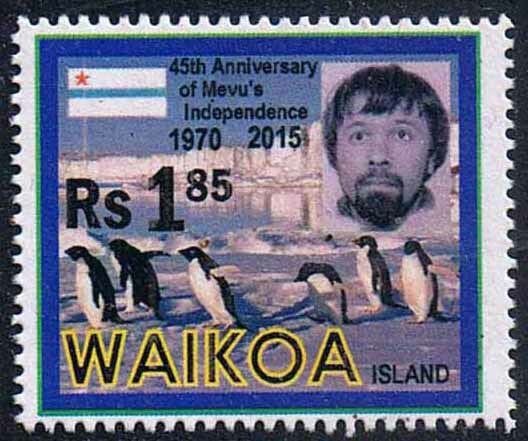 Above left: The first 2015 issue, commemorating the 45th anniversary of Mevu's independence. 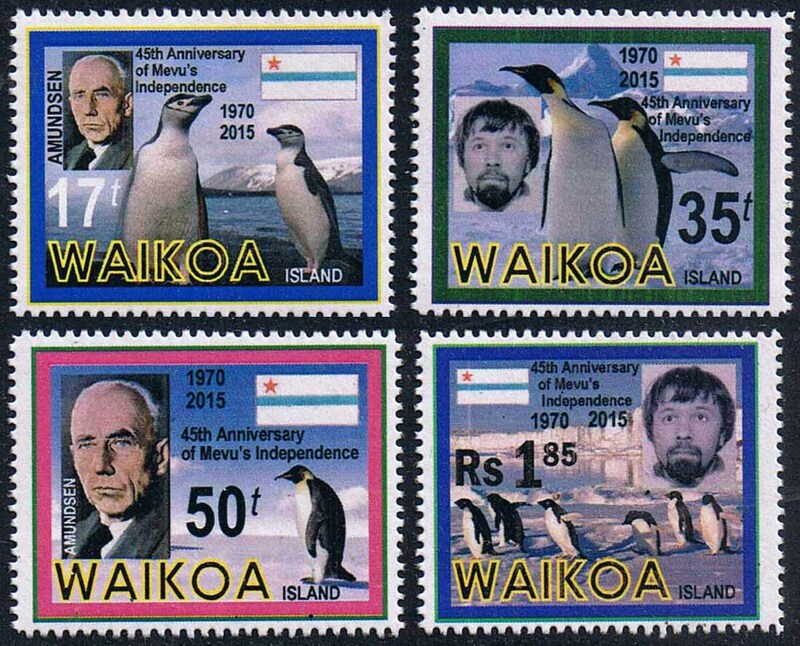 These were issued on 15th September 2015. 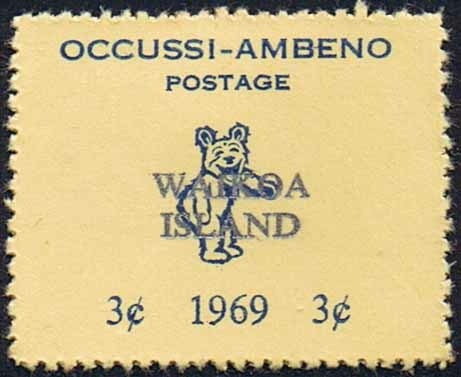 Click here to view the full set. 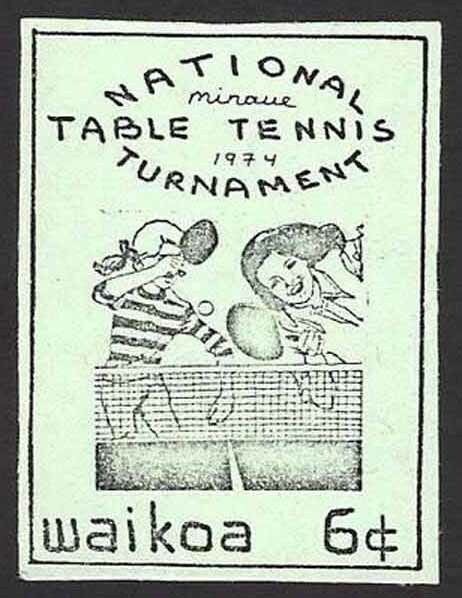 More on the 45th Birthday. 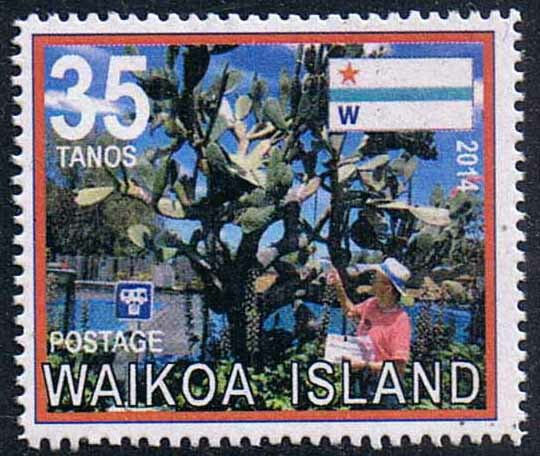 Above right: The Stamp Jubilee, 2015, celebrating the 50th anniversary of Waikoa Island's first stamps. 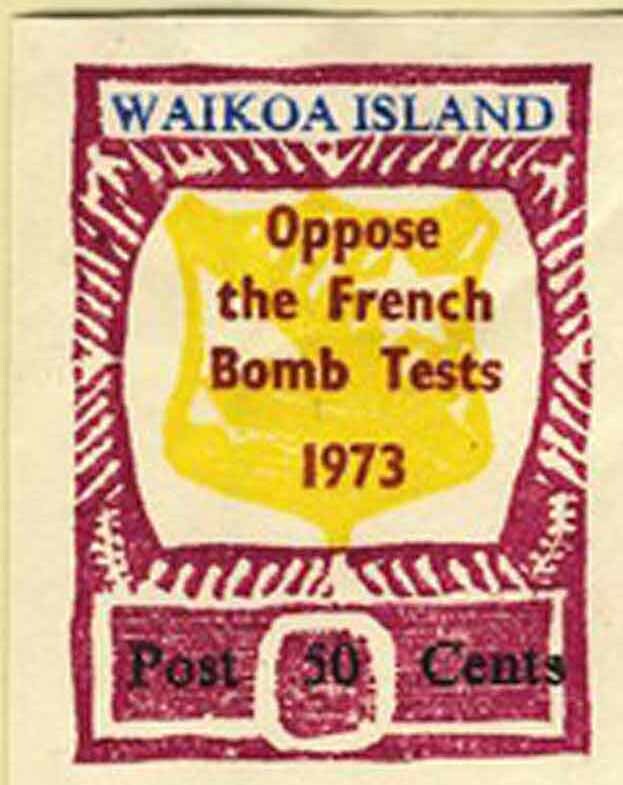 Click here to view the miniature sheet. 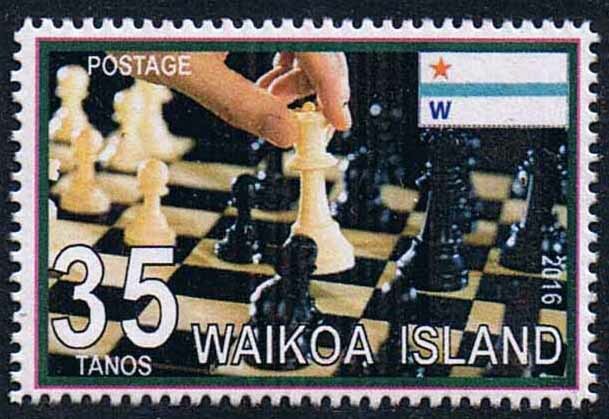 Above: The first 2016 issue, commemorating the Waikoa Island Chess Championships. 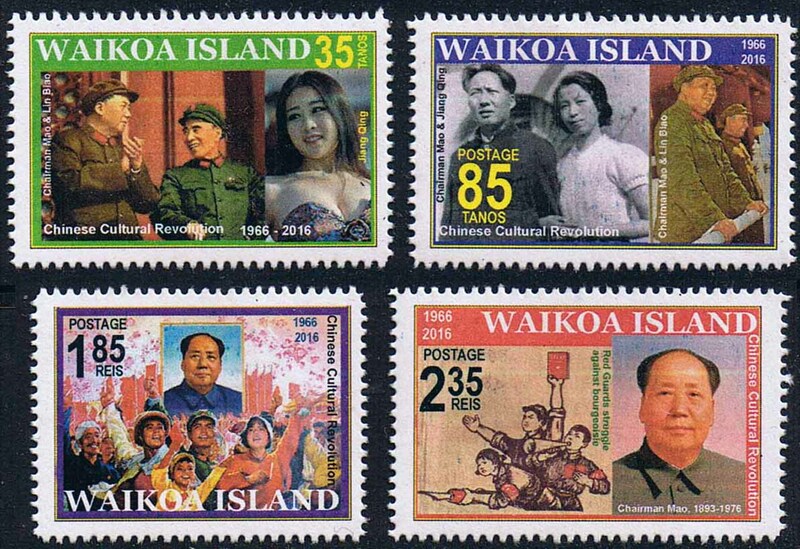 These were issued on 8th April 2016. 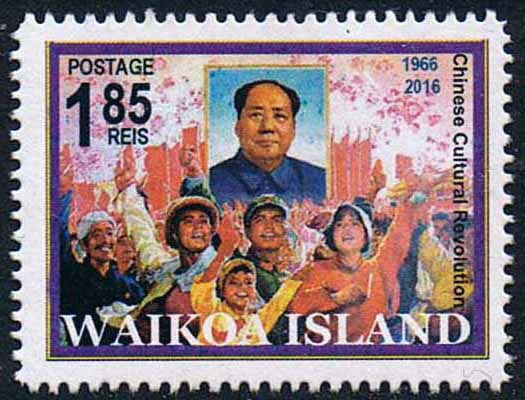 Above: The 50th anniversary of China's Cultural Revolution. 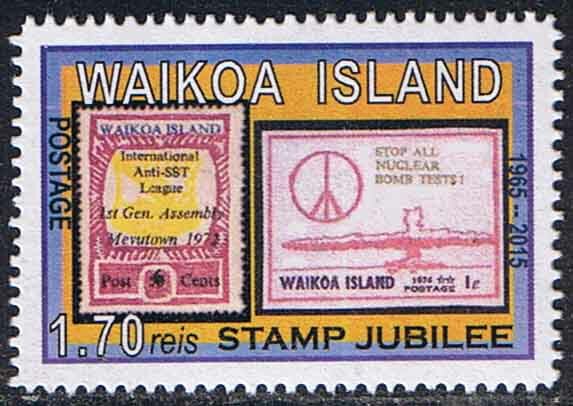 These were issued on 19th July 2016. 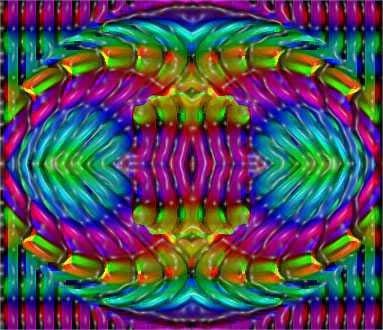 Click here to view the full set. 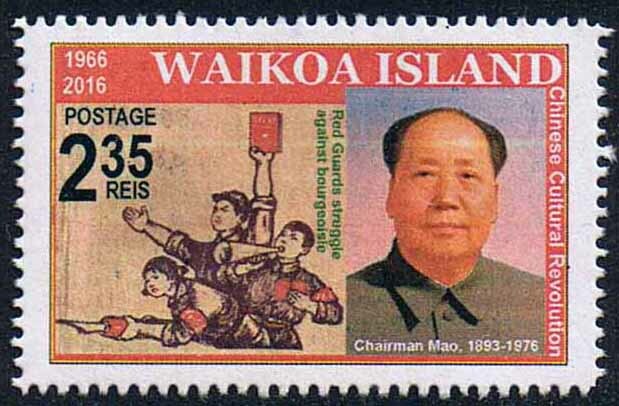 More on the Cultural Revolution. 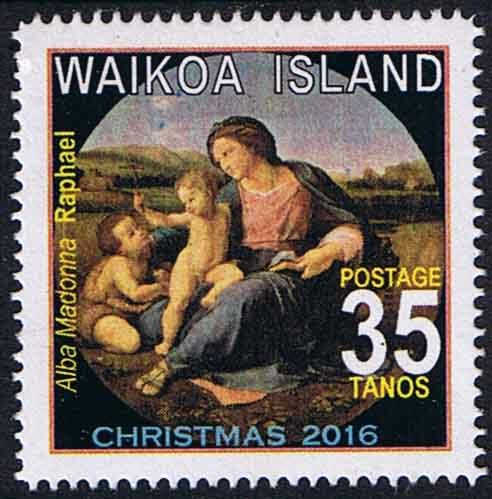 Above: The first-ever Christmas stamp of Waikoa Island shows the painting Alba Madonna, by Raphael. 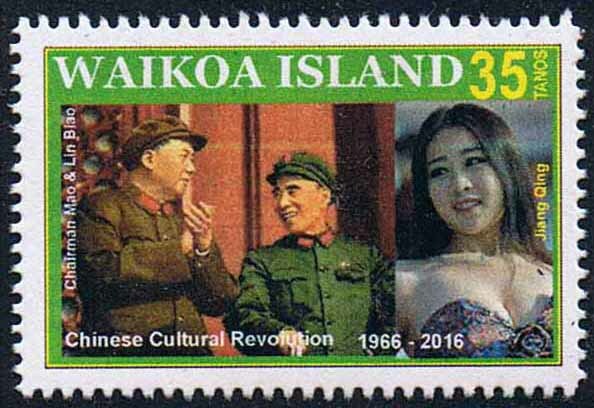 It was issued on 5th December 2016. 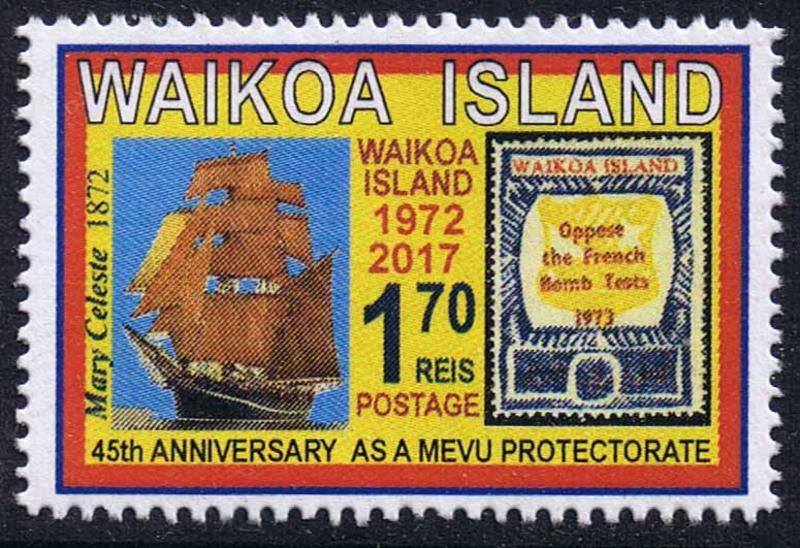 Above: The 45th anniversary of Waikoa Island being a Protectorate of Mevu. 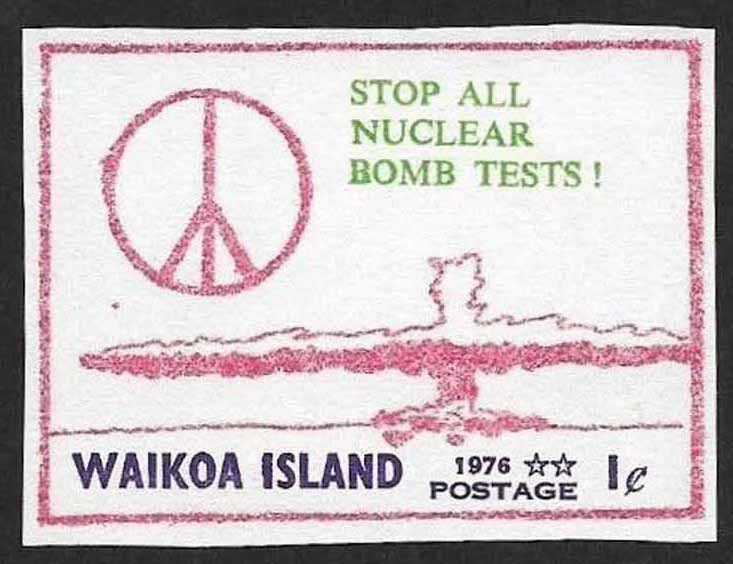 This stamp which shows the 1973 Anti-French Nuclear Bombings 1c and the mystery ship "Mary Celeste", was issued on 12th September 2017. 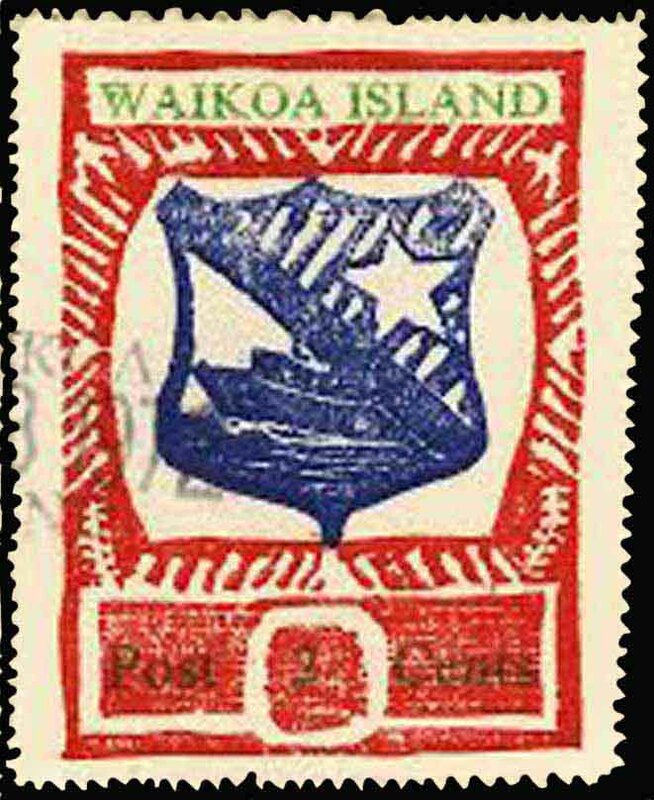 More on the Mary Celeste. 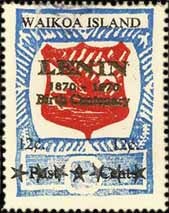 Above: The centenary of the October Revolution. 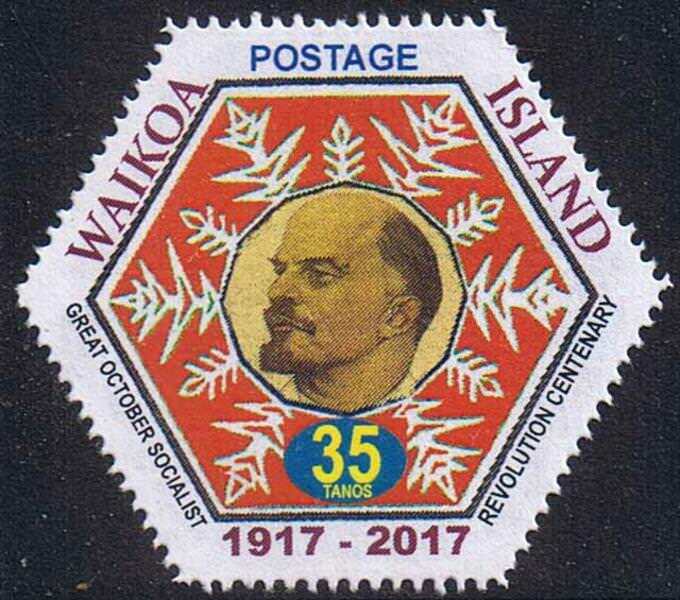 This stamp, showing Vladimir Ilyich Lenin, was issued on 7th November 2017, and was the first time that Waikoa Island has ever had a hexagonal stamp. 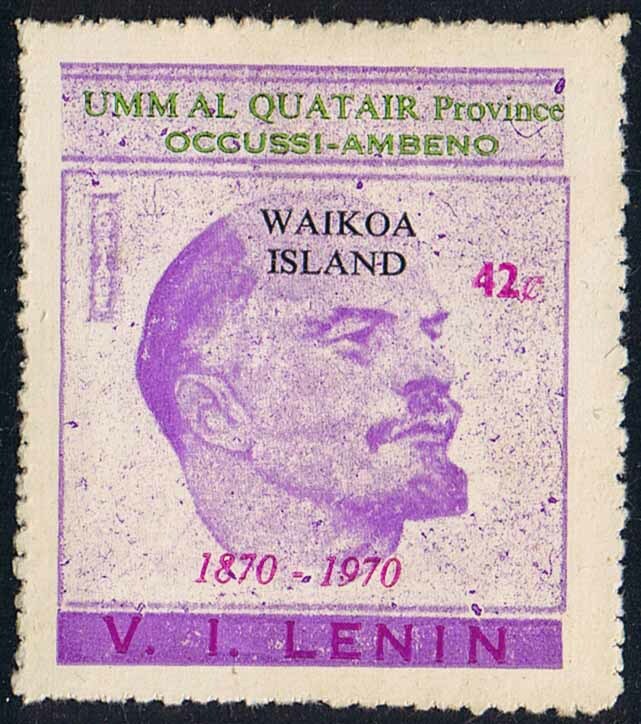 More on the October Revolution. 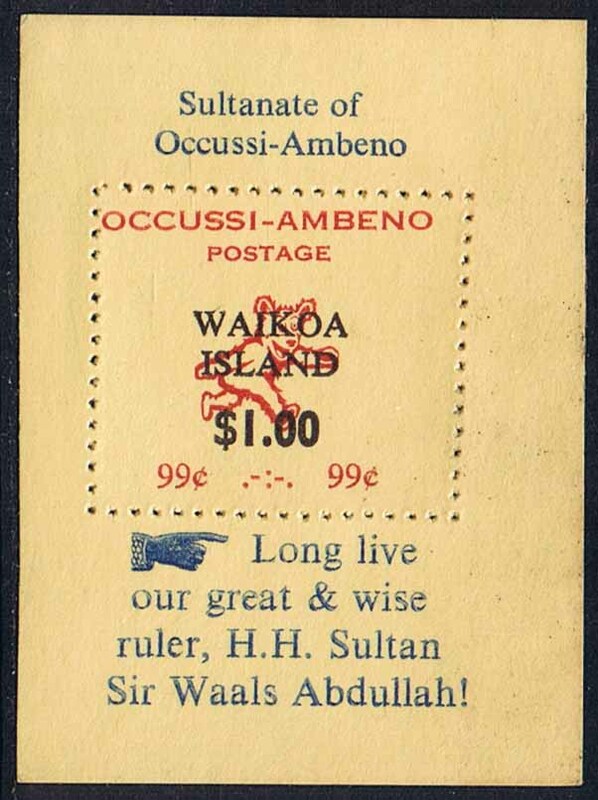 Above: The half-century of independence of the Sultanate of Occussi-Ambeno. 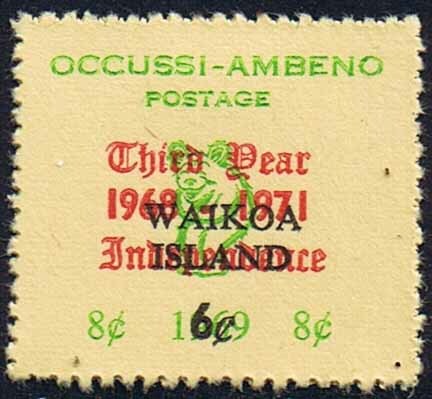 This setp, showing gold and silver coins of Occussi-Ambeno along with songbirds and the airship Graf Zeppelin, was issued on 8th April 2018.